After Latin the language that has had the biggest influence on Spanish is Arabic. It is completely phonetic language. 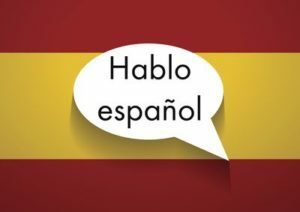 In Spain Spanish is also called Castellano. We also provide language experts for MNCs and tourist guide for tourists as their demand is going too high. In MNCs or international businesses, people who speak more than one language are usually preferred over the others simply because they are more marketable and can easily maintain business relations internationally. Therefore the best option which is available with us Learn Spanish and earn bright future.